Digital Hygrometer/Thermometer electronic humistat, 3 wide x 2 tall x 1 thick This digital hygrometer works perfectly for all cigar humidors. With a built-in thermometer, these hygrometers accurately measure and display temperature and relative humidity to the 10th of a degree. It assures that your cigars are stored in the humidor at the ideal environment and kept in prime smoking conditions. 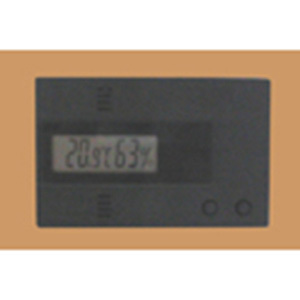 The hygrometer can be set to read the temperature and humidity in celsius or fahrenheit with the push of a button.